Here is a complete guide to vape juice, where you’ll find all the information about vape juice and the flavors, nicotine levels, and other important information about eliquids. Vape Juice is the most prominent part of vaping, as it’s the most purchased product in vaping, and it’s also one of the most advanced vaping products that everyone thinks they know, but in fact, do not know at all. There’s so much more detail that goes into vape juice, so whether you’re a beginner just starting out or a vaping veteran, it never hurts to know more about what you’re putting into your body. We intend for this article to serve as a complete guide to vape juice, so feel free to read over each part and let us know in the comments section at the bottom if we were able to help you in any way. With there being so many wonderful products on the market, you’ll find that e-juice is the most important. Finding the right device to vape is easy since they all function equally, however, vape juice is a different world. For e-juice, you must find a flavor that you absolutely enjoy, and sometimes that can be a task. Wishfully our guide to vape juice you’ll learn all that you need to know and get a good understanding of vape juice. To start off, you must first be aware that e-juice is referred to by many different names, such as e-liquid, vape juice, among others, but they’re all the same. E-Juice is quite simply a liquid that is used in conjunction with a vaping device to become vaporized and create a cloud-like form, similar to that of smoking a traditional cigarette. However, e-juice isn’t burned, but more so heated. Once the e-juice reaches a certain temperature it then turns into a vapor. 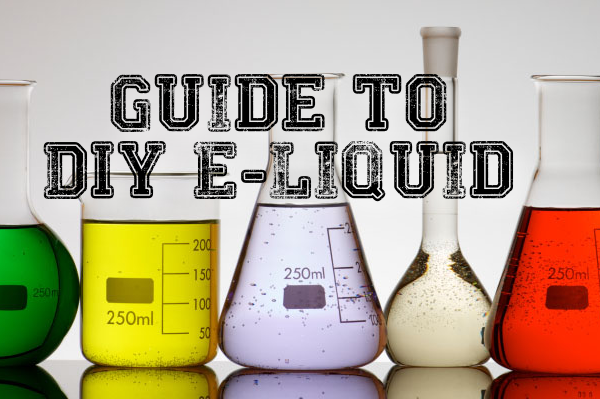 Though we may explain e-juice as a simple product and refer to the ingredients in the solution as being quite simple, there’s a lot to how it’s made, why the ingredients are used, and the differences in various e-juice’s. This description of what vape is, is simple, we are here to educate you on what it is. It’s important to understand what ingredients are in vape juice. It’s a wise choice to always know what you’re putting into your body, whether that be in the form of food, drinks, and in this case the form of vapor. What’s unfortunate is that there’s been many years and millions of people that have smoked cigarettes, inhaling thousands of chemicals into their body, and not knowing exactly what they were inhaling. Vaping is a bit different from those past times, and unlike tobacco cigarette manufacturers, e-juice manufacturers want you to know what’s in e-juice. Here’s a list of the ingredients used to make e-juice, and what each ingredient is used for. Though more known for being an additive in some medicines, along with being an additive in foods we eat regularly, Propylene Glycol is also known for being the base or carrier for nicotine and flavors when creating an e-juice product. You see, not only is this ingredient an organic compound and used in things like soda and ice cream, but it’s a very vital component to the creation of e-juice and how it performs for the user once it’s a finished product mixed with the other ingredients. Short for Propylene Glycol, “PG” also has a thin consistency, meaning it’s used to help dilute e-juice. Another part to the use of PG is because it enhances flavoring, working with it rather than against it. And lastly, PG is highly known for its “throat-hit”, a term used to describe the harsh feeling in the throat when inhaling the vapor. Some users prefer the harsh feeling in the throat, as it offers similarities to that of smoking a traditional cigarette. Strongly felt as the two brothers in arms in this ingredient list, Vegetable Glycerin is much different than Propylene Glycol. In fact, it starts by offering a much thicker consistency. Since Vegetable Glycerin is a thick liquid, PG is there to help dilute it, along with many other reasons as you’ve read. Short for Vegetable Glycerin, VG is a sugar alcohol compound that’s commonly found as a sweetener in liqueurs, cake frosting, as well as being an additive for other foods. 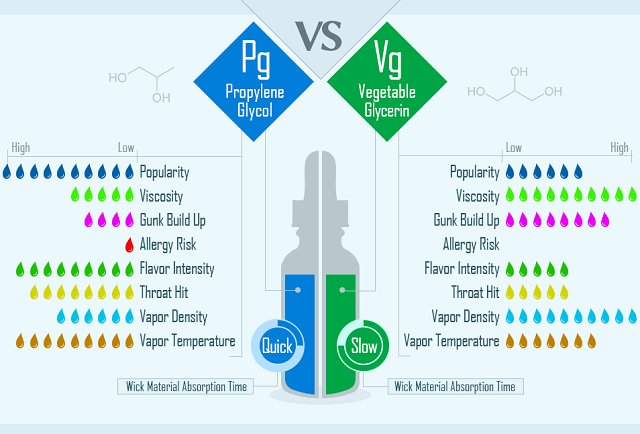 Where PG is known to work with flavors as we mentioned, VG works against the flavorings, decreasing its potency. What VG is most known for in the world of vaping is its great ability to turn into a large cloud-like vapor. It’s more susceptible to producing a better cloud-like form because of its ability to capture moisture molecules from the air. Nicotine is one of the most hated ingredients by the media and those that haven’t actually researched it. You’ll be quite interested to know that nicotine isn’t quite as bad as its been painted to be. In fact, it shares many benefits, with the world back in 2012, telling everyone that nicotine improves attention in a wide variety of tasks, it improves immediate and longer-term memory, it improves attention in patients with probable Alzheimer’s Disease, and it has many other perks. However, we do acknowledge that nicotine is considered a poison and it is a highly addictive substance. Continuing, it’s great to know that nicotine comes in a liquid form so that it can be mixed into the e-juice with the other ingredients. While it may seem that all nicotine is the same, there are several types of nicotine, such as levorotatory nicotine, I-nicotine, and due to new developments, some e-juice manufacturers are using what’s called TFN, short for tobacco-free nicotine (a nicotine that’s obtained from any source other than a tobacco plant). The tobacco-free nicotine is becoming more popular has the industry and technology progresses, but it still has a long road until most brands manufacturer their e-juice with it. The nicotine liquid used in e-juice will come pre-mixed, and the e-juice is typically available in several different strengths ranging from zero milligrams and up to twenty-four milligrams. The nicotine strength is based on how many milligrams per milliliter of vape juice. Though 24MG (2.4%) may seem tempting, many vapers have started lowering their nicotine due to the advancement in vaping devices. Devices now are able to produce much more power and there are tanks that have a super low resistance, meaning e-juice and the ingredients that make it are being delivered to the user more efficiently than ever before. Lastly, you must be aware that nicotine isn’t always used in e-juice. In fact, 0MG obviously means there’s no nicotine present in the e-juice. It’s perfectly fine for you to vape without the use of nicotine being present in the e-juice. Those that do this are referred to as “no-nic” vapers. While you may think it’s okay for you to just pick up any flavoring additive from a local grocery store to give your e-juice a twist in taste, you must understand that the flavoring used in e-juice has been designed specifically for the use of vaping devices. We don’t want you to worry yourself though, if you choose to look further into DIY Vape Juice (more on that in another page of this complete guide). However, there are several flavor options in e-juice for you to choose from, as the market is filled and nearly over-saturated with e-juice that offers a unique taste. You can expect flavors ranging from menthol, tobacco, beverage, dessert, candy, fruit and more. As you would expect, flavoring in e-juice is a lot like it is with products we already use in our daily life, so when you’re looking for an e-juice product, know that the flavoring ingredient is added to enhance the taste of the e-juice and offer a better and more enjoyable experience. Much like the organic foods we eat, organic vape juice is when some vapers opt to go organic or natural. By definition, organic is when produce and/or other ingredients are grown without the use of pesticides, synthetic fertilizers, sewage sludge, genetically modified organisms, or ionizing radiation. In short, when most refer to the term “organic”, they’re talking about something being natural. When speaking of organice vape juice, this means the vape juice being used is only made from natural, “certified” organic flavors and nothing artificial. In addition, organic vape juice also uses vegetable glycerin or an ethyl alcohol base, as opposed to the propylene glycol base that we mentioned earlier when explaining vape juice ingredients. There isn’t any type of requirement on what type of e-juice you should use, being it organic or not, it’s simply a choice. Some will prefer organic vape juice, just as some prefer organic foods, while others simply do not care nor look that much into it. The process of how e-juice works is very simple. Vape enthusiast only know that they add vape juice into their tank and it magically produces vapor. Though that’s nice to believe, there is actually a process behind the creation of generating vapor from e-juice. As you’ve read, e-juice is created by mixing four different ingredients, each playing a role in the process. Once the e-juice is created, it’s then poured into a bottle as a finished product is pre-filled into closed pods on some specific devices like the JUUL. No matter what device it’s used on, the vape juice meets a wicking material that is used leading to the coil or heating element. The vape juice then slowly soaks up into the wicking and when the device is activated, the coil heats up. When the coil heats up it then vaporizes the e-juice, which is soaked into the wicking material surrounding the coil. The user then takes a draw from the device causing a suction of outside air to flow through the coil, pulling the vapor up and into the mouth of the user. The ingredient ratio is something that makes up your e-juice, what it is, how it performs, and even what it tastes like. Ingredients play a huge role in e-juice, some containing more flavor than others, more nicotine than others, but the ratio we’re talking about today is the VG and PG mix, which is the base of the vape juice. Propylene Glycol (PG) is a base liquid as we explained earlier. VG or Vegetable Glycerin is also a base liquid, however, both act very differently. PG has a consistency and is more known to work with flavors, but produces less vapor. VG, on the other hand, has a thick consistency and is more known to work against flavors, but produces more vapor. There are three kinds of vapers, those that are more concerned about flavor, those that are more concerned about vapor, and those that want a mixture of both. Vapers will choose e-juice based on what the VG and PG mix is to get what they want most in their experience. If the vaper wants more flavor they’ll choose a mix with a higher percentage of PG. If the vaper wants more vapor they’ll choose a mix with a higher percentage of VG. If they want to enjoy both worlds of flavor and vapor, they’ll split the mix down the middle as far as the percentages go. Times have greatly changed as the vaping industry has progressed and vape juice manufacturers have found a way to deliver the best of both worlds by reducing the Propylene Glycol percentage, increasing the Vegetable Glycerin percentage, while also increasing the flavor percentage. This allows for a great amount of vapor output due to the VG, and still a great amount of flavor output due to the increase in the flavor percentage. In the earlier years, manufacturers were more prone to make e-juice with a 40% VG / 60% PG ratio. Time progressed along with products and manufacturers starting making e-juice with a 50% VG / 50% PG ratio. In today’s time, the market is mostly filled with a common 70% VG / 30% PG ratio, as products are more advanced than ever. There is however, one issue that comes along with selection an e-juice ratio, which are coils that are used in tanks. The tank has a wicking material and holes in the coil that allows the e-juice to soak up in an effort to reach the coil. If the e-juice ratio is too thick to pass in the vape juice holes, it will cause dry hits. For your knowledge, when an e-juice says “Max VG”, that doesn’t mean it’s 100% VG. Vape Juice flavor ingredients before they’re mixed are usually pre-mixed with Propylene Glycol (PG), so you’ll never have a true Max VG E-Juice unless it contains no PG or flavors. When it comes to e-juice flavor options, you could sit here for days upon days sifting through all the available flavor possibilities. Granted, most of the online vape stores likely sell many of the same flavors, but there are also thousands upon thousands of vape juice manufacturers. With that being said, finding a vape juice flavor that meets your taste preference won’t be a hard task. Flavors are commonly categorized into profiles, such as fruits, beverages, desserts, foods, candies, tobaccos and menthol’s. When you’re trying to find an e-juice flavor that fits you best, look in the profile that you are more attracted to in your daily life. If you’re someone who often enjoys candy, it’s very likely that you will prefer candy e-juice flavors. We think you’ll find some good use out of the article, as there’s plenty of information on this topic. Believe it not but most vapers have experienced dehydration at one point or another due to the Propylene Glycol (PG) in vape juice. Though it’s easy to avoid, many do not take it as seriously as they should. Dehydration can cause serious health problems, we highly suggest reading this part of our vape juice guide. You see, Propylene Glycol has hygroscopic molecules and will bond with water molecules. With that said, when you’re vaping, the PG in your e-juice will draw water out of your saliva and the surrounding tissue in your mouth, nose, and throat, and possibly even the skin around your mouth. We feel this information is vital enough for you to know because if you vape often enough, it won’t take long to feel the effects of dehydration. In fact, dehydration doesn’t take very long to set in, as there is a number of contributing factors, such as temperature, humidity, and of course your activity level that can also exacerbate dehydration. Though we know that most of you are quite aware of dehydration symptoms, we’re going to share a quick list of how you can spot these symptoms, at least for those of you that don’t already know. Fatigue – feeling tired often comes later, but it’s a common symptom, and it’s tied to feelings of lethargy as well. 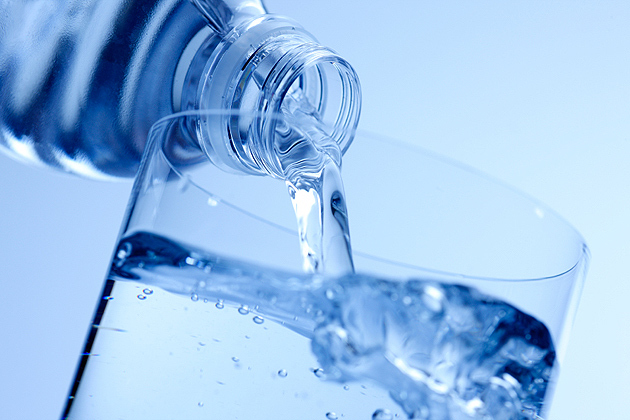 If you feel tired, when you normally wouldn’t, it may be a sign your body needs hydration. The question now is, how do you avoid dehydration and these relatively common symptoms. Well, the best thing you can do is drink water throughout the day, as often as you can. Many will recommend different amounts, but there has always been a rule of thumb with most, and most doctors will tell you this as well, eight 8-ounce glasses a day to keep the dehydration away. It’s a great starting point, but other recommendations say you should drink about half your body weight in ounces of water (if you weigh 150lbs, you should drink about 75 oz of water). Another thing to keep in mind is that when you’re vaping, if you drink drinks that contain alcohol, sugar, coffee, or tea, those beverages can contribute to dehydration. Water is a clear choice. As your vaping journey progresses, you’ll often hear the term “DIY Vape Juice”. This term refers to “Do It Yourself Vape Juice”, meaning you’re making the vape juice yourself and for your own personal use, rather than purchasing a bottle of vape juice that a manufacturer made. What’s wild is that “doing it yourself vape juice” doesn’t have to be some super technical task. In fact, something as simple as mixing your two favorite flavors in your tank can be classified as DIY Vape Juice, to some extent. However, for those that want to go more in-depth with DIY Vape Juice, things can become more advanced. Many users take on the whole mixing their own flavors to find the perfect vape juice for them, but some also find out that the benefits do not outweigh the convenience of ordering a quick bottle online or running to your local vape shop to grab up a new bottle. There are also people that find out that blending these flavors isn’t as easy as it may seem, then resort back to leaving it to the professionals. If you’re really that serious about getting into DIY Vape Juice, we urge you to, as it will explain everything you need to know, and what you need to buy. Before we start this part, I want to first point out that some people may refer to the term “Premium Vape Juice” differently than how we’re going to use it in this segment. Premium Vape Juice is often looked at as an e-juice that has a better quality, manufactured by a much more reputable brand, and carries a steeper price. However, you’ll learn to take caution to the term on the next page, because ‘premium’ vape juice isn’t always so premium. What we’re actually here to share is the difference between premium e-juice and China e-juice. Comparing premium USA made vape juice vs. China vape juices has been done many of times throughout the progression of the industry to show vapers that the cheap vape juice being sold in convenience stores is usually made in China and offers a less satisfaction in quality and taste. Technically, we should have used “USA Vape Juice” to replace the term “Premium”. You see since vaping was originated in China, vaping products started out being manufactured there. When these products landed on U.S. soil, people began noticing the poor quality and taste and went on to create a better vape juice product. Today, we’re spoiled with incredible manufacturers and brands that make it their life goal to produce the best possible vape juice flavors, many years ago China was concerned about pushing out what they seen to be one of the fastest alternative to tobacco products. China may own the vape devices, vape hardware and accessories portion of the industry, they certainly do not have any play when it comes to true premium vape juice that the US has to offer. Premium Vape Juice VS. Chinese manufactures Vape Juice: The premium USA Made Vape Juice wins without a doubt. You can find a large selection of vape juices at West Coast Vape Supply. We highly encourage you to take caution to the term “Premium Vape Juice” or “Premium Ejuice”, as this term has been tossed around so much and so overly used that the meaning doesn’t hold quite the same value as it once did, nor is the term perceived in the same way by most experienced vapers. 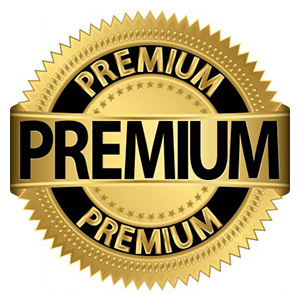 In fact, the term premium is merely used as a ploy to entice you to buy a product, or an effort to sway your perception into thinking a product is greater than the norm. There are several online shops and brick and mortar locations for you to choose premium brands, but you must understand that vape juice is passed around many times before it lands on the shelves of an online store or brick and mortar. The manufacturer themselves sell the vape juice product to a licensed distributor, then that wholesale distributor will then sell to a vendor or even to another wholesaler, and so on. Each time vape juice products is passed, it adds more to the final retail cost. What you want to look for is a vendor that has the capability of buying from a manufacturer directly and that doesn’t increase the cost aggressively. Finding a single vendor with this combination is tough, and that’s why we chose West Coast Vape Supply for your #1 Source for premium vape juice at steep discount prices.